Rich Latta and I had the privilege of representing Social Suplex in the Voices of Wrestling 2018 Match of the Year poll. Every year VOW invites representatives from various wrestling media outlets to submit their top 10 matches of the year. This year there were 122 voters representing 25 different US states and 16 countries. It felt pretty good to see that 8 of the 10 matches I voted for made it on the top ten list. You'll see that my top 10 is very similar to Rich's. Here are the 10 matches I voted for. Last edited by jeremysclsplx; 02-06-2019 at 08:55 PM. Hmm, don't get me wrong it's a great list, but I'm not sure it belongs in the column section, or if it does, it needs a whole heap more. I think it does belong here, as column, but the brevity makes it kind of like “okay next...”. Without a good proper review of each match, at least why it’s different, or the story behind it, it’s hard for us to agree or disagree with the list. Hey, welcome to the CF Jeremy! Dig the list idea and I especially like your use of pictures, awesome visuals. I do agree with others, the CF is usually for pieces that are a little more fleshed out, so something to think about. I dig your taste and presentation so hoping to see you around here a lot more! As for your choices, can tell you're a big fan of New Japan! For me they were rather hit or miss this year but I know I'm in the minority. Of the 10 you mentioned, Ibushi/Tana was by far my favorite, I thought they way overachieved from what I was expecting (not a huge Tana fan but he killed it in that one). Hey, welcome to the CF Jeremy! You remember Jeremy Donovan from our Survivor Series tournament, don't you? He was the other guy besides me to vote for Team Cena vs. Team Authority over Team Austin vs. Team Bischoff in the finals. I know how much you like that match, mizfan. Congrats on getting your picks included in the Voice of Wrestling compendium Jeremy. I'll agree that by themselves these don't say so much about the matches but I believe in the Voices of Wrestling they wouldn't be by themselves anyway. That said your paragraphs on each match pack a lot into it so this does read as quite a punchy summation. Really stoked to see you and Rich giving Tana v Ibushi such love. 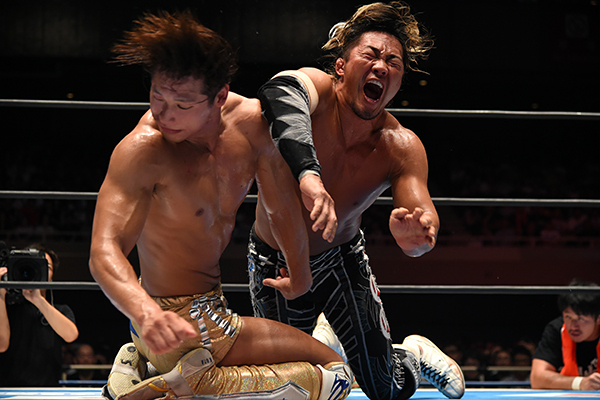 I get why Omega V Okada is the best and most important match in so many ways but subjectively that moment of Tana walking through Ibushi's strikes made it my personal match of the year. Cool little write up man, I know from your podcasts how astute and passionate you are so I'm really looking forward to what you come out with next. We certainly need more in depth coverage of New Japan on this site (not that Imp isn't great). In that case, GET THE HELL OUT! Thanks everybody for the feedback. I was concerned about posting this in the CF because of the length. I didn’t go super in depth with these because I know they would be accompanied by other write ups that were submitted in the VOW voting. I love NJPW and I know some might think I have a bias because I host a NJPW podcast. But I watch everything. On a weekly basis I’m watching WWE products, ROH, and MLW. I also try watch any match that gets buzz. At the end of the day I found these NJPW matches to beat out every excellent match I watched in 2018. Looking forward to dropping more columns in here this year. 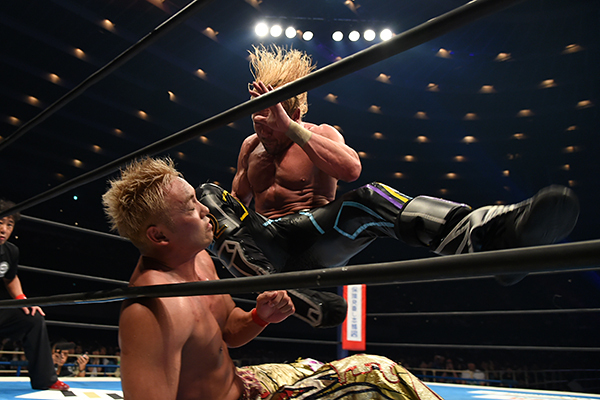 You would think NJPW is the only promotion in the world that has great matches. I haven't watched any of the matches but I've heard about some of them. This will be a nice list to check out sometime.